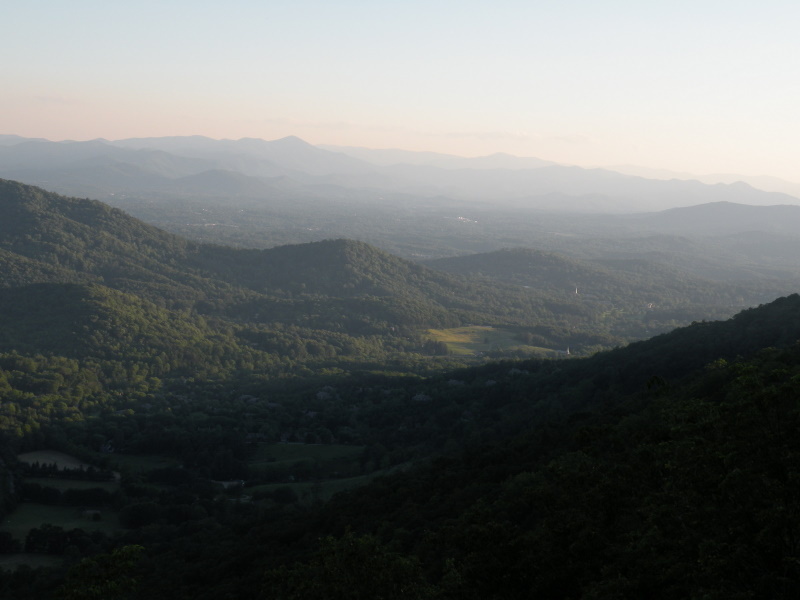 New home communities are constantly being developed and built here in the Asheville North Carolina area. Many new home communities have common amenities such as pools, trails and community clubhouses . Call us at (828)-215-9064 or contact us today for a tour of some of best new home communities in Asheville. Imagine views of the Smoky Mountains & the French Broad River from every room of your new home. Whether cooking in your indoor or outdoor kitchen your guests will delight in being entertained in this massive Gothic home channeling The Grove Park Inn 21st cent. style. Your new home has a 5-car garage, elevators for convenience, fireplaces for warmth, gym for health, wine cellar for enjoyment and generator to power the house. Minutes to airport. I have a question about the property at 28803 (#NCM529267). I would like to schedule a visit for the property at 28803 (#NCM529267). One of the six largest units in The Fitzgerald. This 2nd floor condo has spectacular Western views over the Grove Park Inn golf course. Newly installed travertine tile in hallway and laundry room. Fitzgerald owners have exclusive right to Grove Park Inn Community Membership to enjoy the spa, golf course, sports clubhouse. One deeded parking space in secure garage. Extra spaces available to use. I have a question about the property at 288 Macon Avenue Asheville NC 28804 (#3213984). I would like to schedule a visit for the property at 288 Macon Avenue Asheville NC 28804 (#3213984). Nearly new custom detailed Ramble home across from Longmeadow Park. Exceptional kitchen w/elaborate butler's pantry, breakfast area. Two story great room w/stone fireplace. Formal dining room, study, casual family room. Elevator serves the spacious master suite consisting of a sitting room w/fireplace, large bath & closet w/island. Three other bedrooms including a guest suite w/sitting area. 4 car garage, 2nd guest suite over garage, screened porch w/fireplace, two covered porches, cobble drive. I have a question about the property at 22 Ramble Way Asheville NC 28803 (#3323129). I would like to schedule a visit for the property at 22 Ramble Way Asheville NC 28803 (#3323129). Exquisite custom home in the heart of S Asheville, minutes to downtown, Biltmore Estate & Mission Hospital. The finest finishes throughout-no expense spared! Cedar shake & stone exterior, dramatic walnut floors, cypress paneling, hand scraped natural beams, LaCanche & SubZero appliances, marble counter tops, 3 floor-to-ceiling stone fireplaces, private guest wing & more. Community features clubhouse, trails, fitness center, wellness center & the Blue Ridge Parkway is right across the street. I have a question about the property at 14 Niagra Drive Asheville NC 28803 (#3159606). I would like to schedule a visit for the property at 14 Niagra Drive Asheville NC 28803 (#3159606). Beautiful custom home located in The Ramble. Recent additions include airy breakfast nook w/ floor to ceiling windows, renovated kitchen w/ new granite counters & windows, & 4-seasons rm w/ vaulted ceiling, stone fireplace, custom TV art system & floor to ceiling windows. Other recent renovations include new railing and decking on back deck, new front walkway and slate porch, landscaping in the front and back yard, and newly paved driveway. I have a question about the property at 7 Beadle Lane Asheville NC 28803 (#NCM537311). I would like to schedule a visit for the property at 7 Beadle Lane Asheville NC 28803 (#NCM537311). Large shingle style home with deep flagstone wraparound covered porches, screened porch, outdoor stone fireplace with cooking, private deck off the master. Guest suite over garage has a private exterior entrance PLUS a secret hidden interior bookcase entrance. Brazilian cherry floors, private pergola deck off master bath, all 6 bedrooms en suite with walk-in closets. Guarded and gated community, saline pool, park, trails, Living Well Center. I have a question about the property at 2 Vaux Court Asheville NC 28803 (#NCM577001). I would like to schedule a visit for the property at 2 Vaux Court Asheville NC 28803 (#NCM577001). This is a great value in Walnut Cove. Open floor plan, walnut floors, upgraded appliances, newly added summer kitchen in the screened porch, decks on 2 levels. Mature landscaping and impeccably maintained. Easy to show this home and sell it!! Agent must accompany!! I have a question about the property at 171 Walnut Valley Parkway Arden NC 28704 (#NCM586093). I would like to schedule a visit for the property at 171 Walnut Valley Parkway Arden NC 28704 (#NCM586093). Located in Fletcher's Cane Creek Valley, with its unique combination of mountain views, rolling hills and lush, verdant pastures, this immaculate estate has an idyllic cadence all its own. Built in 2007, this exceptional estate offers 9,713 SF of luxury living space that includes a 7,410 SF main house with a 2 car attached garage and rare 2 car 2,303 SF carriage house with a second floor ready to be built out for your office or live-in help. Built to the highest standards in architecture, technology and comfort, the interior features 5 bedrooms and 8 bathrooms including a master suite with two self-indulgent master baths, a superior chef's kitchen with Dacor and KitchenAid appliances, a soaring great room with stacked stone fireplace (one of 5 on the property), a billiards area, a second kitchen, game room and theatre. All but one of the bedrooms are en suite. Situated on 4.51 acres the house backs up to woodlands and a stream bordered by 3.72 acres of dedicated community land. I have a question about the property at 49 Ashbrook Meadows Fletcher NC 28732 (#3429879). I would like to schedule a visit for the property at 49 Ashbrook Meadows Fletcher NC 28732 (#3429879). I have a question about the property at 125 Nancy Ashworth Lane Fairview NC 28730 (#3497350). I would like to schedule a visit for the property at 125 Nancy Ashworth Lane Fairview NC 28730 (#3497350). Impeccable modern farmhouse with European flair centrally located in South Asheville's gated community, the Ramble Biltmore Forest. Every detail has been carefully considered in this open, easy floor plan. Striking dark hardwoods throughout contrast with the home's light trim and finishes to create the modern feel everyone is looking for. The great room, circular kitchen, unique casual dining area and outdoor space seamlessly flow into each other; perfect for gatherings or family time. The home's gourmet kitchen is truly a one of a kind design and sets the stage for the main living areas. The large Master suite on main boasts its own private sitting area and fireplace along with a magazine-worthy bathroom that is custom right down to its his and hers vanities. Curved archways, cast stone fireplaces, solid wood doors, thoughtfully crafted built-ins, and custom wainscot details throughout the home create a vintage appeal that makes this home truly exceptional. I have a question about the property at 67 Beadle Lane Asheville NC 28803 (#3349254). I would like to schedule a visit for the property at 67 Beadle Lane Asheville NC 28803 (#3349254). I have a question about the property at 179 VALLEY SPRINGS ROAD Asheville NC 28803 (#NCM524642). I would like to schedule a visit for the property at 179 VALLEY SPRINGS ROAD Asheville NC 28803 (#NCM524642). I have a question about the property at 23 Brookline Drive Asheville NC 28803 (#3284397). I would like to schedule a visit for the property at 23 Brookline Drive Asheville NC 28803 (#3284397). Bank owned. This magnificent custom home features old world charm with modern conveniences. Enjoy views of the Blue Ridge Mountains and beyond. Master on main has his and hers baths. Located in the Cliffs at Walnut Cove. Asheville's premier gated golf community. Jack Nicklaus designed golf course, 18,000 sf wellness center and much more. Sold "As-Is, Where Is." Offers must be accompanied by pre-qual letter or POF. Listed by Lisa Maloney of Carolina Mountain Realty Group, LLC. I have a question about the property at 1904 Tree View Trail Arden NC 28704 (#NCM464452). I would like to schedule a visit for the property at 1904 Tree View Trail Arden NC 28704 (#NCM464452). Located in The Cliffs at Walnut Cove, a gated golf community, this town home is situated in a very private setting at the end of a cul-de-sac. Long mountain views separate this property from all the others. Designed to bring the outdoors inside and meticulously maintained by the current owners. This town home has to be seen to appreciate its many features. I have a question about the property at 18 Windelsham Way Arden NC 28704 (#3317323). I would like to schedule a visit for the property at 18 Windelsham Way Arden NC 28704 (#3317323). I have a question about the property at 25 Deep Creek Trail Arden NC 28704 (#3422902). I would like to schedule a visit for the property at 25 Deep Creek Trail Arden NC 28704 (#3422902). Designed by Boston architects Ruhl-Walker, this stunning contemporary features the finest fixtures & an abundance of natural light. Main living space boasts a dramatic 17 ft. wall of windows & bridge to 2nd floor bedrooms. Design elements include walnut/stainless kitchen, marble master bath, & double height outdoor room. Experience living in The Ramble, a gated community 10 minutes to downtown Asheville & direct access to Biltmore Park shops, dining & theater. Owner is NC Real Estate Broker. I have a question about the property at 70 Ramble Way Asheville NC 28803 (#3292044). I would like to schedule a visit for the property at 70 Ramble Way Asheville NC 28803 (#3292044). Exciting mountain style home in gated premiere Ramble community with hike/bike trails, clubhouse, fitness, saline pool, tennis, lightly lived in and nicely enhanced since purchase, two main floor bedrooms, chef's kitchen, two covered porches, new landscaping, his/hers walk in closets, spacious master bath, entertainment rec room with fireplace, beverage cooler, media room, very private lot adjoins trail & green space walkable to Longmeadow Park. Private road to Biltmore Park with NO traffic. I have a question about the property at 72 Brookline Drive Asheville NC 28803 (#3316078). I would like to schedule a visit for the property at 72 Brookline Drive Asheville NC 28803 (#3316078). I have a question about the property at 24 NIAGARA DRIVE Asheville NC 28803 (#NCM569205). I would like to schedule a visit for the property at 24 NIAGARA DRIVE Asheville NC 28803 (#NCM569205).